Produced with some assistance from Mr Wiggles of the Rock Steady Crew’s ‘Hip Hop Timeline’, here is a round up of some of the significant hip hop related events of 1984:- Classic Hip Hop movie ‘Beat Street’ is released, featuring appearances from legendary acts including Kool Herc, Treacherous 3, Doug E Fresh, Rock Steady Crew and New York City Breakers. 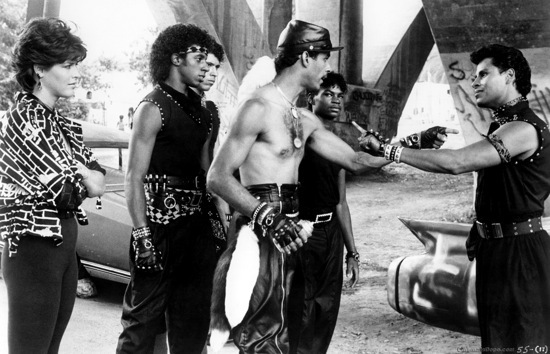 - Both ‘Beat Street’ and ‘Breakin’ prompted world tours featuring the cast and dancers from the films, culminating in a breakdance battle featuring members of both tours at a Paris nightclub. - Although Chalfant and Cooper’s book is often credited as the first book to investigate the phenomenon of New York subway graffiti, earlier the same year Craig Castleman’s book “Getting Up” documented the inside story of the lives and activities of New York’s graffiti artists through a series of candid interviews. - Run DMC release their self titled debut LP on the Profile label ushering in a new harder edged sound in contrast to the disco rap sound popularised by artists such as Kurtis Blow who released his ‘Ego Trip’ LP the same year. - UTFO released the controversial single ‘Roxanne, Roxanne’ prompting a response from Juice Crew affiliate Roxanne Shante in the form of her 1984 single ‘Roxanne’s Revenge’. - Dancers Boogaloo Shrimp, Shabadoo and Pop ‘n’ Taco appeared in the video for Chaka Khan’s hit single “I Feel For You”.